How can we improve diversity, inclusion and equality in academia and industry to foster innovation for the benefit of humanity? Is there a case for conscious bias when it comes to representation in science? 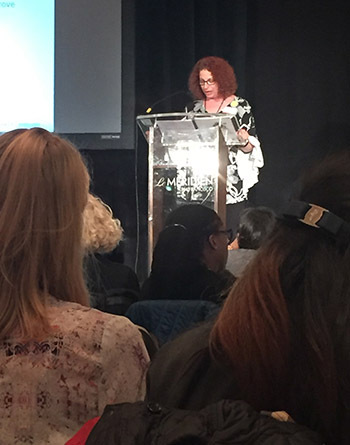 And on a personal level, how do women in science navigate the social pressures associated with a career? 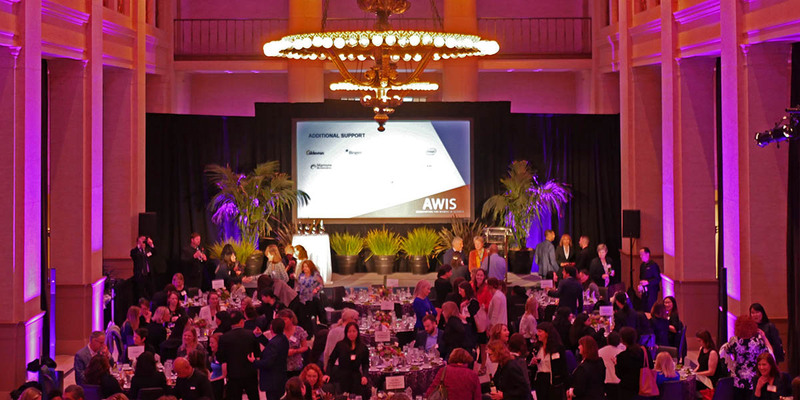 On April 25th, 200 distinguished women and men gathered to examine the theme of Innovation and Inclusion: Women at the forefront of STEMat the AWIS Annual Summit. In the imposing hall of the Bently Reserve in San Francisco, they examined these ideas and more. Here are my takeaways from these women leaders in STEM, who shared shared their thoughts on the challenges that exist beyond the process of scientific achievement. Through case studies, best practices and discussion over the course of the day, two trains of thought emerged for me. First, a strong case to recognize unconscious bias. Dr. Rachel Haurwitz, President and CEO of Caribou Biosciences, talked about masking names from resumes to avoid unconscious gender bias. 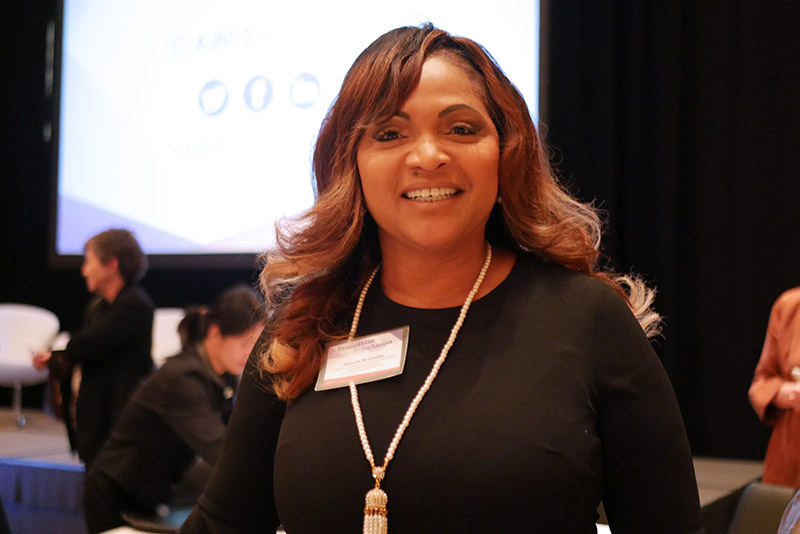 Karene Richards, CEO of the Karene Group LLC, shared her story of not being hired for a position she was highly qualified for – and receiving well-intentioned advice by one interviewer who suggested she straighten her hair and try again in six months. While all the panelists recognized the dangers of unconscious bias, another train of thought gained significant momentum by the end of the evening: a case for conscious bias in favor of women. I should clarify that no one actually used the words “conscious bias,” but venture capitalist Alex Jung, Managing Director of the EY-Parthenon practice of Ernst & Young, emphasized the need to “hire women, pay it forward,” saying women have an obligation to encourage, support and lift other women. Jung shared her 2018 resolution of “No more Manels,” referring to all-male panels. She rejects being the sole woman sought to speak on panels, and when she turns down a speaking engagement, she now offers a list of qualified women who can speak in her stead. Several speakers cited studies that demonstrate how diverse organizations are more successful in innovation and business outcomes, yet current trends continue to demonstrate the slow pace of women achieving leadership roles and parity compared to men. Speakers on the panel “Fix the women or fix the system?” emphasized that the systems must be addressed. 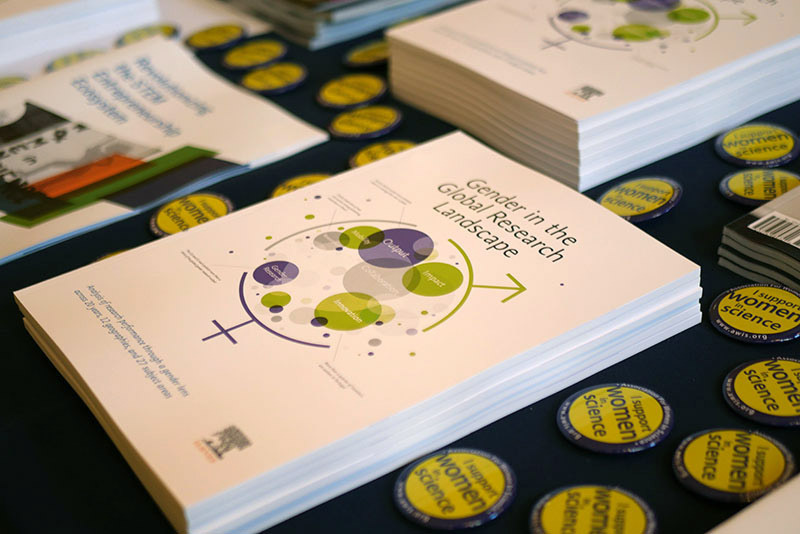 Women do not need to be fixed, they said; rather, policy and legislative approaches can make the difference in promoting diversity and parity, even though these policies may be difficult to implement. 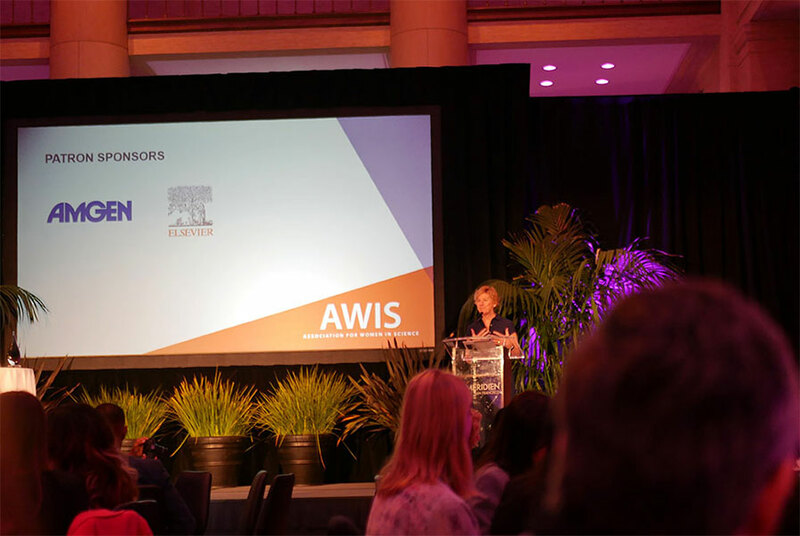 This AWIS event crystalized challenges that so many institutions are currently facing – from the most esteemed universities to corporations like my own. In contrast to the confident speakers on the podium, however, I encountered a different perspective from the audience. During the networking sessions, I spoke separately with two impressive and successful women, each in mid-career. Over the course of our conversations, both revealed their internal conflict about the impact of their work on their young children, on their marriages and relationships, and on their work. “It’s the guilt!” one exclaimed to me. Although we’d only just met and I was a stranger, I understood this emotion all too well. It’s easy to feel that you’re not spending enough time with your family and that you’re not staying late enough at the office. I’ve lived through The Guilt throughout my working life. But looking at these promising women and reflecting on the luminaries in the room – like Dr. Desmond-Hellman, whose development of cancer-fighting drugs provide hope to millions today – it seems unthinkable to not encourage women to continue to strive for whatever it is that they are trying to do. Don’t weigh guilt on this scale. Put it aside. Instead, consider your unique contribution to whatever it is that you are trying to accomplish. You bring a singular perspective that no one else can. If your work is one of the platforms through which you fulfil your unique calling or purpose, put that on the scale instead of guilt, and then find the balance. It’s still going to be a tough one to level, but at least both weights are true and worthy.